You are a charlatan, trapped in the previous doctor's home while the townspeople outside are screaming for your blood. Make a cure or find a way to escape before they end you. Created for MAGS January, 2016. I had a great time playing this, going in cold, and just letting things happen. I had a bit of an issue with needing to be next to things without any keyboard controls, but the atmosphere made up for it! Congrats! Really enjoyed it. I liked the use of color and sound, and I really like the level of detail in the UI. The writing and the theme was good, looked well researched. I was also really creeped out, in a good way, as the rooms changed when I returned to them :-) I got into a few of the outcomes, but what I was really trying to get into were the Pagan solutions. How many different outcomes or solutions are there? How do I figure out the pagan parts? It's probably a false positive. You'd be surprised at how unreliable antivirus software can be. Still, I'd always recommend having one installed. By the way, I've downloaded it and tested it with both AVG and Malwarebytes, and haven't gotten anything. So definitely a false positive. Ahhhh. You should think about downloading some third party internet security programs. If windows defender is picking up false positives it might be that you actually have that trojan in your system or something, but it can't find it or do anything about it. Download a copy of AVG and Malwarebytes like Danvzare did and see if that helps clean things up. I'll go through the rar again to make sure on my end. There's actually 3 main endings with a secret ending that have variations. The main ones are making the fever cure, the fervor cure, and escaping into the woods. Fever cure - make the strange concoction following the guide, then leave the front door. Fervor cure - make the foul concoction, spread on both windows, leave through the front door. Escape through window - leave through the window. 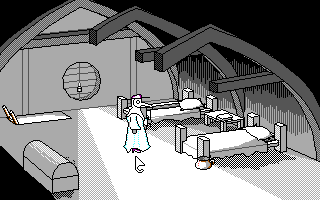 No cure - you're killed by the townspeople regardless if you leave the front door. high fever, low fervor - you die of plague shortly after leaving the house. high fervor, low fever - you go crazy and start burning heretics at the stake. 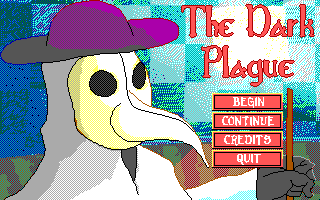 high fever, high fervor - you probably just die of the plague. Can't remember this one. Escape through window with no supplies - you die of exposure. Escape through window with water/wine and coins - you survive and run away. Snap. Maybe it's on my end. I have a bunch of stuff running but I will do it all in Safe Mode and see what happens. Sorry for the false alarm! AWESOME!!! Now just watch the downloads count go through the roof! Anyone want me to tell it again? Trying your game for a while... congratulations is a sturdy piece of work. 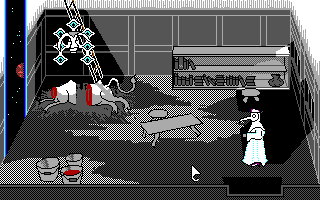 A good example of how you can make a good game in lo-fi graphics.